At Waterloo Foot Clinic we want to provide you with the best care possible and we want to do it with you in mind. Working together with our patients is at the core of our clinic. We are always open to your questions or concerns and are willing to work with you to help relieve foot pain and symptoms. We believe providing you the best care is in our best interest. This is why we are constantly expanding our services and always using the most recent evidence based medicine to provide you with optimal care. Waterloo Foot Clinic began as Karen Doyle Foot Care – established in the year 2000. Karen Doyle, a now retired Registered Nurse (RN) saw the need to help others with their lower limb conditions. The practice quickly grew. Karen realized she needed a succession plan in order to provide her patients with the best possible care for the future. Karen encouraged her son Matthew, an honours University student studying health science, to look into the opportunity of becoming a Chiropodist. This would allow Doyle Foot Care to keep up with the demands of a growing practice, offer expanded services, and Karen would be able to ensure proper care for her patients after she retires. We are now able to provide many expanded new services – Foot Care is not all we do! We have a team working to help you better – A single name didn't seem to fit our team work approach! We want to be Waterloo’s Foot Clinic - a place we've called home for many years! So please do not hesitate to come in and see our new clinic and expanded services at 50 Westmount Rd. North Unit 215 in Waterloo. Matthew Doyle DCh, BSc (Hons) is a Chiropodist at Waterloo Foot Clinic. 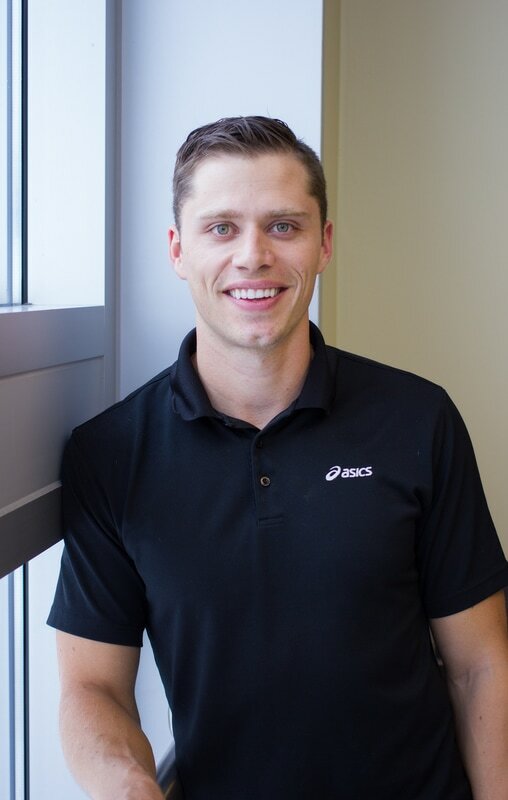 Matthew has always had a vast interest in helping people and he used his undergraduate in Health Sciences at the University of Waterloo as the stepping stone to Chiropody. Matthew graduated from the Michener Institute for Applied Health Sciences in the Chiropody program. During his time at Michener, Matthew learned extensive clinic knowledge at Michener Chiropody Clinic as well as at Sherbourne Hospital. Matthew also loves sports, fitness and nutrition. It is why he has a special interest in sports rehabilitation and lower limb injuries. Engaging in physical activity has allowed Matthew to become a subject matter expert on shoes, biomechanics and orthotics. Matthew has worked at a range of health centres over the past few years, including: The Anne Johnston Health Centre, Flemingdon Health Centre, Fairview Health Centre, the Niagara Foot Clinic, and the Kitchener Downtown Community Health Centre (KDCHC). During his time at the KDCHC he delivered a variety of Diabetic Foot Education seminars and frequently gives back to the community by providing foot care at St. Johns Homeless Shelter. Matthew looks forward to meeting you, and welcomes you to the Waterloo Foot Clinic! 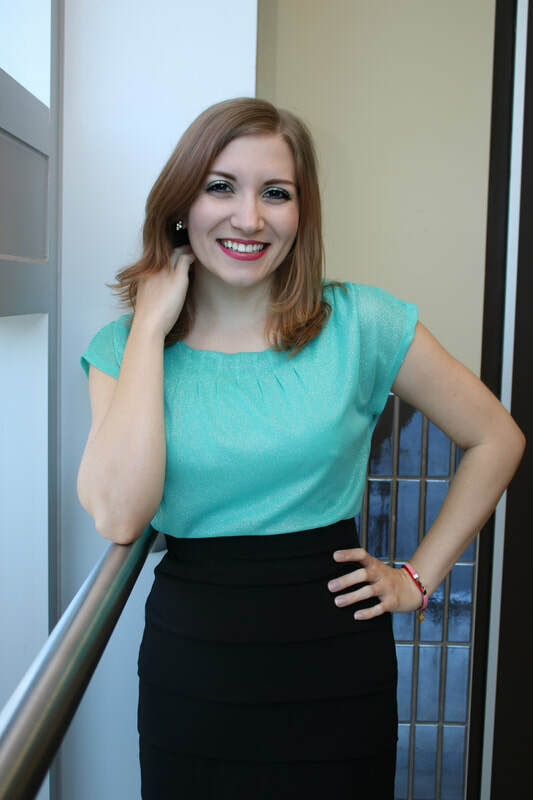 Alexandra Elliott is an associate chiropodist at Waterloo Foot Clinic. Alexandra first became interested in healthcare after pursuing a Biology Degree with a Specialization in Health Science from Trent University located in her hometown of Peterborough, ON. Following her undergraduate studies, Alexandra relocated to Guelph to pursue her Masters Degree in molecular biology, in which she studied influenza virus (the Bird Flu). After completing her graduate studies and realizing that life in a lab was not for her, she enrolled in the Chiropody Program at the Michener Institute for Applied Health Science and graduated in June of 2016. Throughout her time at Michener she gained clinical experience working at the Michener Chiropody Clinic, Downtown Kitchener Community Health Centre and Rainville Health (Timmins). Alexandra became interested in Chiropody because of her love for working with seniors and helping them stay mobile and engaged in their communities. In Guelph she has been involved in several volunteer programs including the Feeling Better Move Well program for the Guelph Wellington Seniors Association, in which volunteers lead gentle exercise in the homes of seniors to promote mobility and enable them to remain living at home for as long as possible. She also acted as a volunteer feeder at the Elliott Community, and is currently involved in the Guelph Syrian Refugee Sponsorship Forum. Alexandra is dedicated to working with her patients to get them mobile and pain-free. She is committed to keeping her knowledge current, and regularly researches new treatment modalities and options to help her patients feel better. Some of her specific podiatric interests include: diabetic education and foot care, addressing issues of access and improving care to remote communities, pediatrics, and biomechanics. In her downtime, Alexandra loves getting outside and can be found walking her Shiba Inu, or hiking. Her and her husband recently hiked the 88 km La Cloche Silhouette Trail and plan to hike the Lake Superior Coastal Trail in 2017. Chad Bezaire DCH BHK is a proud associate of the Waterloo Foot Clinic. Chad began his healthcare career in his teenage years, starting out as a clinic assistant working in multidisciplinary clinical setting throughout high school and university. Chad’s interest in healthcare and passion for helping patients quickly grew, and he began his journey to becoming a foot and ankle specialist/ Chiropodist. Chad's education includes a Bachelor of Human Kinetics, Kinesiology (CO-OP) BHK from the University of Windsor with distinction and an advanced graduate diploma of Chiropody from the Michener Institute at UHN in Toronto. Chad was awarded early acceptance into the University of Windsor’s Cooperative education program earning a top 3rd spot. Once accepted, Chad began working in many clinical settings as an assistant and rehabilitation student for private clinics, community health centers, and helped to organize circuits for chronic disease management programs. While completing his university studies, Chad was given the privilege of assisting medical students with their anatomy labs, spending hours setting up and dissecting specimens for anatomical study. This experience collectively gave Chad the foundation required to become a Chiropodist. Chad’s passion is helping patients alleviate their pain and provide an exceptional healthcare experience. If it's fungus, infections, wounds, ankle pain, ingrown toe nails, surgery, or sports injuries, Chad is looking forward to tailoring your management plan to best suit your needs. When Chad is not working in the office, he can be found golfing, hiking, and travelling to different countries in his off time. Chad has lived in the Canadian Rocky Mountains (even climbed a few mountains) and traveled Europe, and is native to the Windsor- Essex region. Katie Papp is the Office Manager at Waterloo Foot Clinic. Katie has always enjoyed interacting with, and assisting people of all ages. She works hard to ensure a positive, friendly atmosphere both in office as well as over the phone. Katie is actively interested in the health and well-being of all the patients at Waterloo Foot Clinic, and she strives to help out as much as possible. Katie specializes in shoe fitting, product knowledge and is First Aid CPR/AED HCP certified. Rachel is the Chiropodist Assistant and Office Administrator at the Waterloo Foot Clinic. She recently graduated from Wilfrid Laurier University with an Honours Bachelor degree in Kinesiology and hopes to become a Chiropodist in the near future. Rachel is very passionate about sport and physical activity. During her undergrad, Rachel volunteered at the SOS Physiotherapy clinic and was apart of Laurier’s Women’s Athletic Association. She also has 4 years of customer service experience with footwear, and would love to help you pick supportive shoes for your feet! Eric is the newest addition to the Waterloo Foot Clinic family. He is a great conversationalist and strives to ensure the highest quality of service for all patients. Eric graduated high school in 2015, then moved to Halifax, Nova Scotia to attend Dalhousie University for 3 years. In his free time, you can catch Eric watching the Leafs game or playing guitar. A team of health care providers working to administer expert services and professional treatments for all patients.